Some years ago I was asked to photograph people playing sports in Pakistan for Art Review magazine and the NGO Right To Play. I spent several days photographing Afghan refugees living just outside Quetta, playing football and cricket, in different places. 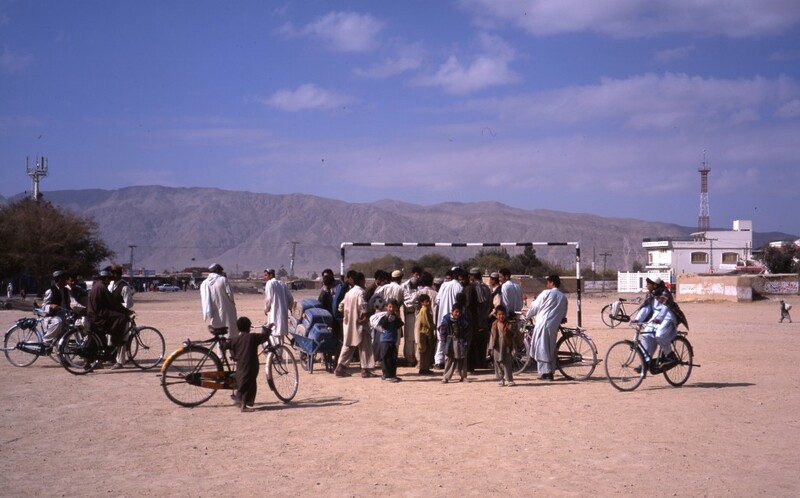 This pre-match team tactics discussion took place on the one more formal football ground in Quetta.